Shame shame shame. 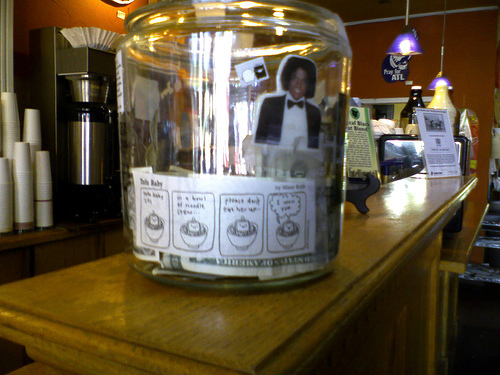 Joe's Coffee Shop in East Atlanta has a crush on missy kulik's Tofu Baby comic strip. I first spotted one of her strips on the tip jar a couple of days ago. Then this morning I saw someone tearing the strip off of the jar to go make photocopies for all of his friends and colleagues.